WASHINGTON, D.C. – During a Senate Finance Committee hearing Thursday, U.S. Senator Sherrod Brown (D-OH) pressed top Trump administration officials to do more to address the opioid epidemic. Brown highlighted Ohio successes in keeping families together and treating Neonatal Abstinence Syndrome. He urged top officials at the U.S. Department of Health and Human Services (HHS) and the Centers for Medicare & Medicaid Services (CMS) to follow Ohio’s example and support similar programs at the federal level. In particular, Brown said Ohio has had success with prevention programs when it comes to ensuring families struggling with addiction are not separated. Brown said HHS is slated to issue guidance under the bipartisan Family First Act this coming October that would provide states with additional guidelines when it comes to children placed in foster care as a result of the addiction epidemic. Brown said HHS should look to Ohio as an example of program successes, and urged HHS to make sure this guidance is issued in a timely manner, as states like Ohio rely on this guidance to develop their own prevention plans. In addition, Brown said Ohio has been working to find creative solutions to treat babies who are born suffering from opioid withdrawal, or Neonatal Abstinence Syndrome (NAS). 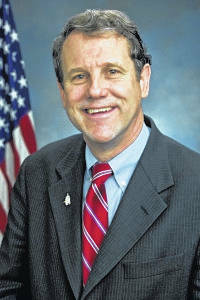 For example, in previous Finance Committee hearings, Senator Brown has discussed the Caring Recovery for Infants and Babies (CRIB) CRIB Act, which would help pediatric recovery facilities – like Brigid’s Path just outside Dayton – receive reimbursement through Medicaid for treating infants with NAS. Brown said this is just one of the many examples of ways Ohio hospitals and providers are working hard to keep up with the addiction crisis. Brown said CMS and HHS should follow Ohio’s lead on caring for those born suffering with NAS, but additional federal help is going to be needed if this country is going to stamp out the addiction crisis facing families and their children. Senators Brown and Shelley Moore Capito (R-WV) first introduced the bipartisan CRIB Act in 2016. The bill would help newborns suffering from addiction recover in the best care setting and provide support for their families by recognizing residential pediatric recovery facilities as providers under Medicaid. This would allow Medicaid to cover some services in residential pediatric recovery facilities in addition to hospitals. The bill is not expected to cost tax payers any additional money, but allows babies to receive quality care in the best setting. The companion bill in the House of Representatives was introduced by U.S. Reps. Mike Turner (R-OH-10) and Tim Ryan (D-OH-13).